Talk to a lawyer for Free 24/7 at (314) 361-4242 :: Our very successful St. Louis car crash lawyers have earned their credentials through successful negotiations and vigorous courtroom trial representation for over 20 years. If you or a loved one have been involved in a car crash, you no doubt have many questions and concerns. You may have medical bills to pay and if the car accident caused serious injuries, you may be missing work. If the other driver’s insurance company is harassing you, you may not know what to say or how to handle their questions. As one of the preeminent firms helping victims of St. Louis car crashes, we understand how to build strong cases. When you hire our firm, you can be confident that everything will be done to protect your rights and recover the compensation you need. One of the leading causes of serious accidents is drunk driving. Not only should you not drink and drive, but you need to be aware that someone on the same road may be driving drunk, and therefore drive defensively. Stay away from someone weaving on the road and report suspicious conduct. You may help save lives. Many people are tired, but they keep driving anyway. They may nod off for a second, and the scare keeps them wide awake … momentarily. If you are tired, pull over in a safe place and take a power nap or stay at a hotel. Do not fall asleep at the wheel. Many head-on collisions occur due to drivers falling asleep at the wheel. A driver is 23 times more likely to get into a car accident texting while driving. When texting, a person takes their eyes off the road for a minimum of 5 seconds. At 55mph that is equivalent to driving the length of a football field without looking up at the road. This has become such a problem that some states have banned the use of a mobile phone while driving. If filing an auto accident lawsuit is determined to be the best course of action, your first step is to draft a complaint. This is a legal document that must prove that your lawsuit is a legitimate one. At The Hoffmann Law Firm, L.L.C. we will assist you with this complaint to ensure that it is seriously considered by a judge and not quickly dismissed. In the meantime, our team will be working on gathering documentation and evidence to help support your claim. This will include medical records and bills as well as information from the accident scene. If the fault of the accident is in question, our legal team can have it reconstructed to prove exactly how the accident crash occurred. Once your complaint has been accepted by the Missouri court, you will have to see to it that it is served to the defendant in a timely fashion. He or she should be served in person by a reputable process server. We will take care of these details for you. After the defendant has received notice, they have a small window of opportunity in which to respond. 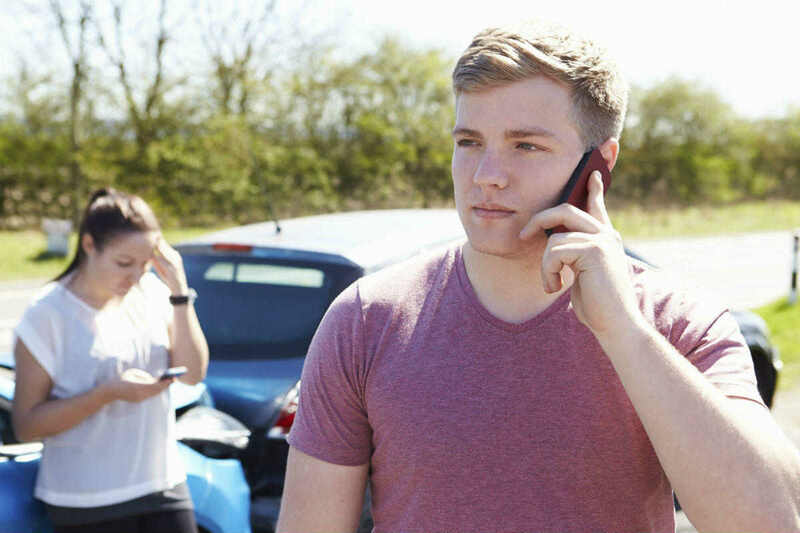 In the event of a car accident, they will most likely respond by admitting that the accident took place, but denying that they were liable for it. They also have the chance to try and have the claim dismissed, based on the absence of liability in the claim. Another common response is alleging that they do not have enough relevant information to admit or deny the allegations. Reaching a St. Louis car accident settlement with the defense is often the best solution for both parties. You want to try and avoid a costly lawsuit, and the defense wants to avoid a possible large award from a jury. Due to this, the importance of highly qualified legal representation cannot be stressed enough. Our team knows exactly what damages you have suffered and will fight to make sure that all are recognized by the defense. If you or a loved one were seriously injured in a St. Louis car crash, Talk to a lawyer for Free 24/7 at (314) 361-4242. We offer a free initial consultation with a lawyer in all personal injury cases, and you never pay attorney fees unless we recover compensation for you. by Cassandra Ronning on The Hoffman Law Firm, L.L.C. I would recommend them to anyone who needs a car crash attorney. The Hoffmann Law Firm was there for me after my car accident. They helped me get through all of the legalities in a frustrating experience. I would recommend them to anyone who needs a car crash attorney. by Chase Berger on The Hoffman Law Firm, L.L.C. This lawyer is a step above the rest. Attorney Hoffmann did my car crash case after an accident in St. Louis. He guided me through the property damage claim and later submitted my injury demand. Insurance companies never go easy so we took them on and won. This lawyer is a step above the rest. by Dimitri Baldauf on The Hoffman Law Firm, L.L.C. Great car crash injury lawyer in St. Louis. You will not be disappointed. Great car crash injury lawyer in St. Louis. You will not be disappointed. Credible attorney who knows his job. by S Halley on The Hoffman Law Firm, L.L.C. I would recommend and refer this lawyer if hurt in a crash. This is a very helpful attorney if you are in a St. Louis car wreck. I would recommend and refer this lawyer if hurt in a crash.